Putting harmonious design in the Comfort Zone, the Logis collection ensures user-friendly and splash-free use. The lightly arched surfaces and clear lines make Logis a real eye-catcher in any bathroom setting. The Logis 150 bathroom faucet uses EcoRight technology with a sophisticated flow limited, special jets, and an infusion of air into the water to create a fuller flow using 60% less water than standard fixtures. Features a high-arc spout that swivels 120 degrees and two knob handles with red and blue temperature indicators. 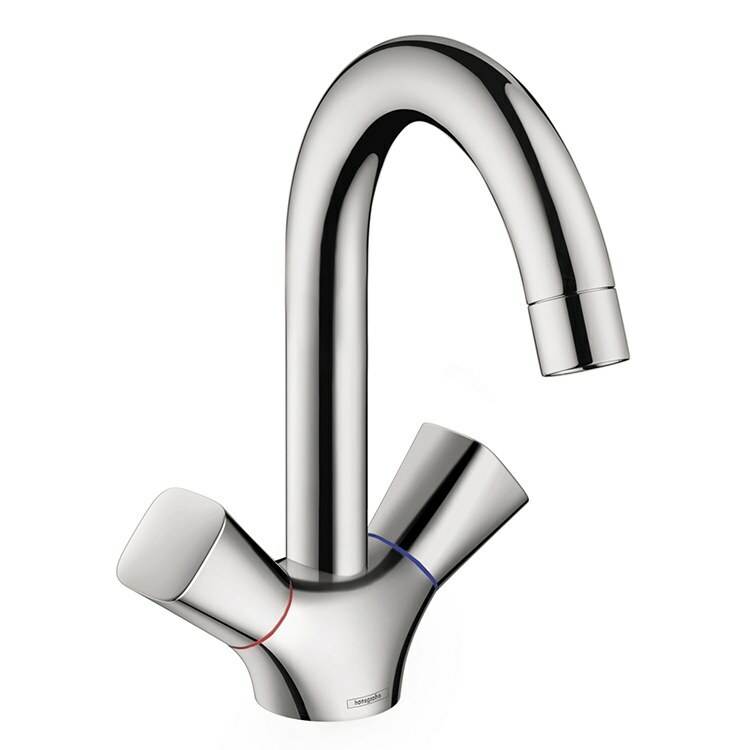 The faucet measures 8-5/8" high with a 5-3/4" spout reach. Mounts in single-hole applications in decks up to 1-5/8" thick. Includes a pop-up drain assembly.